Flea is the most wide spread, ugly and enduring external parasites the dog may have. These bloodsuckers not only make your pet’s life impossible, they also can seriously damage its health. Flea bite is painful and its saliva is a medium where various infectious agents live. A parasite that goes from a sick dog onto a healthy one will reproduce fast and feed on the dog’s blood. More often than not increase of fleas number is observed during spring and autumn time. Since these parasites are dangerous for animals and reproduce very fast, every dog owner should know how flea looks and how to get rid of these parasites if your pet has them. In a remarkable manner fleas got used to live at the account of their ‘owner’: the parasite’s flat body makes it easy to move through the animal’s hair, its prehensile chelae clutches the hair strongly, it has sharp piercing-sucking mouthparts and pale coloring which is perfect for masking. The parasite is also independent from its main source of food: many kinds of flea that you can find on a dog are actually parasites that may live on cats, humans or rats. Of course, cats’ flea feels better on a cat, but it will be quite ok when living on a dog and humans will do as well. Thus, species specificity of these insects is quite relative: fleas from a dog can jump and live on a human and vise versa – a human can bring fleas and infect a dog or a cat. Luckily, it doesn’t matter which kind of fleas you have faced: all of them can be killed in the same way and they cause similar symptoms. Differences in this case are of some interest only for entomologists. A flea size seldom exceeds 0.5 cm, its body is gingery, brownish or almost black. Semitransparent gray, yellowish or almost white – these are not dog’s flea, they are louse or lice. They are flattened ‘horizontally’ widthway while fleas are flattened from sides. Besides flea has well developed hindlimbs by means of which these bloodsuckers can jump on a very long distance (in comparison with their size). Since when flea lives on a dog it reproduces in a very smart way, the colony of the bloodsuckers grows fast and continuously. Fleas don’t stick their eggs to dogs hair, but they scatter them everywhere: the female flea crawls over the dog’s hair and ‘shoots’ her eggs everywhere – several eggs in each different direction. The eggs get into carpet hair, floor cracks and etc. Some of the larvae will definitely survive, pupate and turn into the adult insects and get back on the dog, even if its owner washes and combs its pet thoroughly. It is not that easy to see this insect. Well, actually it is easy, but when there are a lot of them already. However, you’d better avoid such a situation. You can start worrying if you notice the following: you pet sleeps very restlessly, goes from one place to another all the time; it suddenly jumps up, bends and freezes in one pose for several seconds; the dog sinks its teeth into its skin all at once and gnashes; your pet scratches itself with fast and violent movements (this is a very specific way of scratching and you are unlikely to confuse it with an ordinary scratching). Other signs that you dog has fleas you may find after examining its skin. The place where a flea bites usually becomes red and itches, you can see small points with congealed blood (pin holes). If the pet’s skin is sensitive, small reddish rash appears on it, usually on a pet’s abdomen, femur inner side, top of shoulder, behind its ears, on its snout. If the dog is an allergy-prone one, its eyes start to mist over, the skin is covered with bright red rash, the hair sheds and in time abscesses and sores appear where flea bit the animal and were it scratched the skin. In a difficult cases wide bald spots appear on the dog’s tailset, top of shoulder, croup. If you don’t start the treatment, your pet may become completely bald and even die from consecutive infections. The most popular way of getting rid of flea on a dog is to wash the dog. Fleas are afraid of water – this is a well known fact. If you are using antiparasitic shampoo while washing, the positive result is guaranteed. However, there are some subtle aspects. For example, if a shampoo doesn’t provide a durable effect, it means that the dog will be infected with fleas again in 3-4 days after the washing. We recommend using flea shampoos for dogs constantly together with anti flea collars like Seresto (about which we’ve already written a long article). BioSpot Active Care Flea & Tick Shampoo for Dogs and Puppies, 12 oz. Let’s start not from the shampoo as promised, but from another thing, that is used to remove the insects before washing the dog. Since we’ve mentioned above, that first you should remove fleas manually. The best thing to help you with this task is Safari FLEA COMB. This is a comb with very thick metal teeth and a plastic handle. 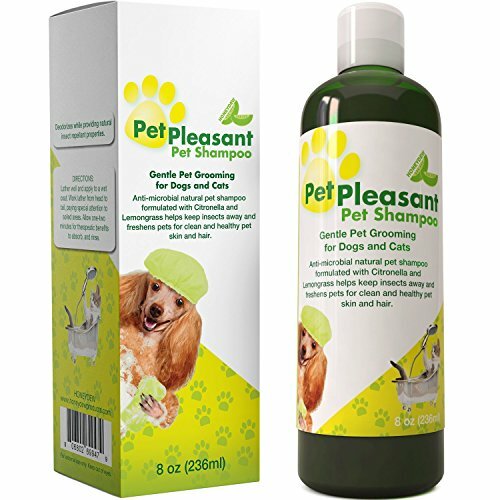 It is successfully used to help cats and dogs to get rid of lice and fleas. The comb with thick teeth combs hair of any length and type. With its help you can remove all insects and their eggs from the pet’s hair. 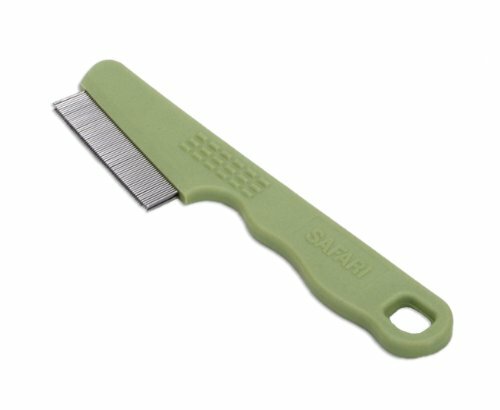 Use Safari FLEA COMB when necessary and your pet’s hair will be always is a perfect condition. 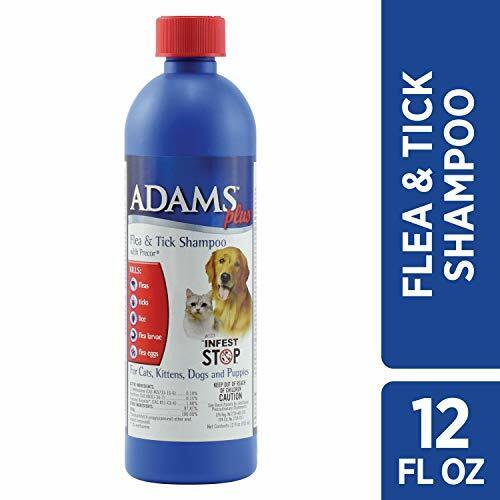 Adams Flea and Tick Cleansing Shampoo kills fleas, flea eggs, ticks and lice. Due to the fact that the eggs are killed as well the reproduction cycle of the insect is disrupted and this shampoo protects your pet better than any other common ones. Wahl – is a product line of high-quality shampoos, we’ve already mentioned it in our articles. 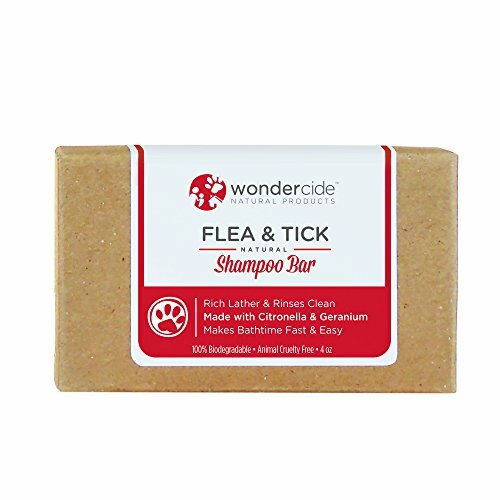 This product line has a shampoo against flea and ticks. Its main feature is that it contains only natural components – rosemary, mint and cedar oil. Which means that you can wash puppies and sick dogs with it without any misgivings, since it doesn’t have any toxic components. The drawback in this case is that the effect the shampoo provides lasts up to 7 days as well as the shampoo doesn’t kill the insects it just scares them off. This is another completely natural substance you can use both for cats and dogs. However, it has the same advantages and disadvantages as the one mentioned above. GENTLE: Gently cleans skin and coat. Antibacterial and antifungal. EASY TO USE: lathers great, and rinses well. Easier to use than liquid bottles! 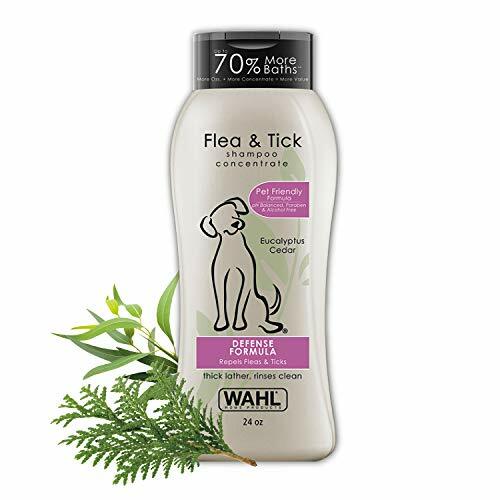 This is an antiparasitic shampoo to fight against and prevent appearance of flea, lice and ticks both on dogs and puppies. Highly effective formula of the shampoo together with IGR ingredient (insect growth regulator) neuters newly appeared flea and kills their eggs for 30 days period. Besides, conditioning components of the shampoo take care of the dog’s hair: they clean it, get volume, shine and well-groomed appearance as well as deodorize the hair, make it smell with Hawaiian Ginger. Kills adult fleas, ticks and lice on contact. This stuff is VERY strong and is for older pets. The shampoo provides effect that lasts for 28 days, during which eggs and larvae of the insects die. 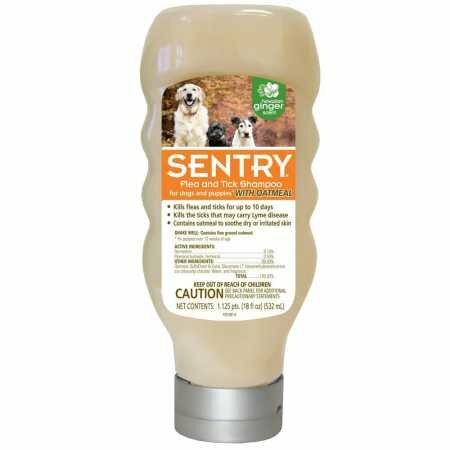 This is a very soft and sensitive shampoo designed for dogs and cats with problem-prone skin. For such animals it is strongly recommend not to use substances containing toxic chemical components. Of course, this shampoo is not that effective as others, but in some cases it is irreplaceable. 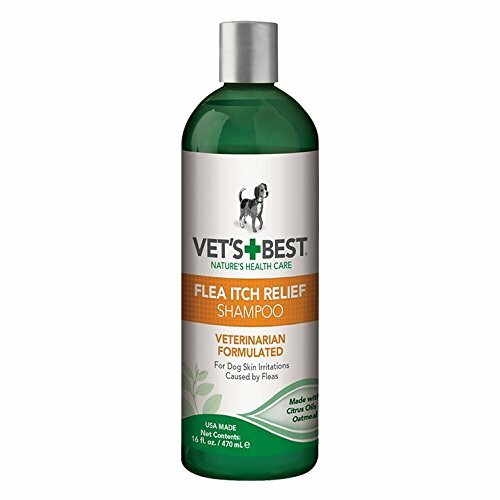 This shampoo is not an anti flea one, it deals with the consequences that come after flea bites – irritation and scratches. Its soothing complex containing oat, essential citrus oils and Azadirachta indica oil performs gentle blemish control and soothes itching caused by flea bites. It stops itching fast. Micronized oat eases irritated skin. The shampoo can be used for dogs and puppies older than 12 weeks. It doesn’t contain solvents. MADE IN THE USA - For dogs and puppies 12 weeks or older. 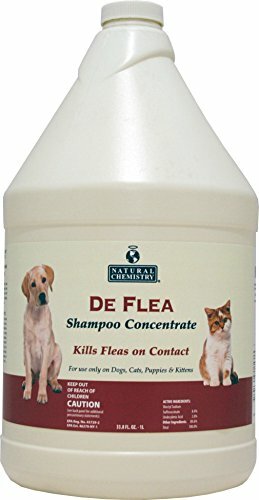 Natural Chemistry DeFlea flea and tick shampoo differs from others because it doesn’t contain pyrethrin based pesticides like most of other anti flea and ticks shampoos. The active component of the shampoo is dioctyl sodium sulfosuccinate and undecyclenic acid. This acid softens chitinous carapace of the insects and kills them. At that the substance acts at all stages of the insect development – from the larvae to the adult bloodsucker. Bio Spot Active Care Shampoo for Dogs & Puppies is designed to cleanse and eliminate fleas, ticks and lice on contact. It also contains an IGR to prevent reinfestation for 28 days. Flea shampoo for dogs are divided according to their operation principle into medicated and preventive shampoos. Before using them read the instruction thoroughly, you will find which amount should be used according to the dog’s weight to get the maximum effect and get rid of fleas. Before washing comb the dog with a comb with thick teeth and this way you will remove some of insects and their eggs. If there is some matted hair, you should cut it off. Otherwise fleas and their eggs will stay there and washing won’t help at all. Put a dog into a bath. If you pet is not afraid of running water wash it with a shower. Take the amount of the shampoo according to its weight and apply it on its body and make foam. Carefully wash its head, pay attention that water won’t get into its ears and mouth, otherwise it may cause severe intoxication. When a pet doesn’t like washing, it’s better to dissolve the substance in a separate volume and then wash the dog with it. Thoroughly wash away all the foam. Wipe the water surplus with towels. If your dog often has skin problems, it peels, becomes red, itches – ask your vet which shampoo is better to use in this case. Quite often essential oils cause irritation, because they are usually used as components of animal hair care products. Like all antiparasitic substances shampoos have their pros and cons.